Philadelphia Auxiliary Bishop Louis A. DeSimone died Friday, Oct. 5. He was 96. Bishop Louis A. DeSimone, retired auxiliary bishop of Philadelphia and pastor emeritus of St. Monica Parish in South Philadelphia, died Friday morning, Oct. 5 at St. Thomas Monastery in Villanova following a brief illness. He was 96, and the third oldest Catholic bishop in the United States. A funeral Mass will be celebrated Wednesday, Oct. 10 at 11 a.m., preceded by a viewing at 9 a.m., at the Cathedral Basilica of SS. Peter and Paul in Philadelphia. Archbishop Charles J. Chaput will be the principal celebrant. “I was saddened to learn of the death of Bishop DeSimone,” said the archbishop, who is attending the synod of bishops on youth in Rome and is returning to Philadelphia for the funeral. “He was a man of great energy, charity and joy who deeply touched all those he met in tremendously positive ways. Daily, he lived out his episcopal motto Servus Tuus (Your Servant) in his words and actions. 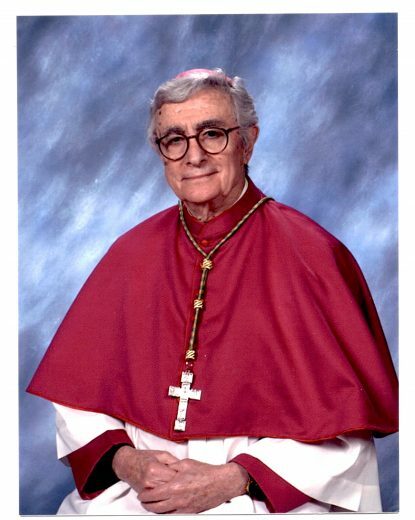 Bishop DeSimone was born Feb. 21, 1922 and raised in Bridgeport, Montgomery County. After graduation from Bridgeport High School, he attended then-Villanova College. 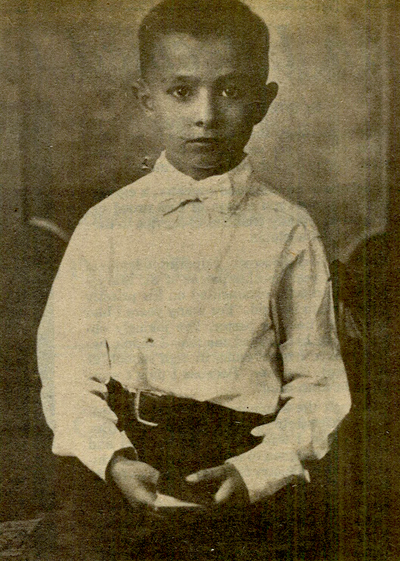 With the United States embroiled in World War II, a young Louis DeSimone enlisted in the United States Army. 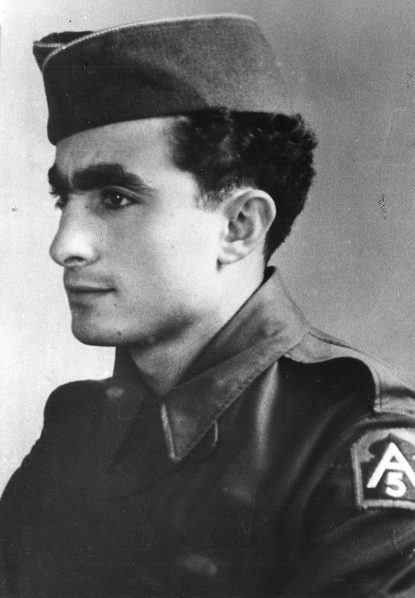 Fluent in Italian, he was attached to the headquarters of the U.S. 5th Army and served as a translator with the rank of sergeant. For two years he saw active combat service during the North African and Italian campaigns. While serving in Italy, military service took him to the Vatican where he met Pope Pius XII. Upon his return to the United States, he was accepted as a seminarian at St. Charles Borromeo Seminary and later ordained a priest for the Archdiocese of Philadelphia on May 10, 1952 by Cardinal John O’Hara. After ordination, Father DeSimone taught at St. Thomas More High School in Philadelphia and served as an assistant pastor at Annunciation B.V.M. and St. Donato Parishes in Philadelphia. He would also go on to serve as an assistant pastor and pastor at the former SS. Cosmas and Damian Parish in Conshohocken. In 1961 he became a member of the Archdiocesan Executive Committee of the Catholic Charities Appeal. In 1971 he became director of Catholic Relief Services in the Archdiocese — a post he would hold for 11 years. In 1975 Father DeSimone was appointed chairman of the Heritage Group Committee for the 41st International Eucharistic Congress, which was held the following year in Philadelphia. Father DeSimone was named a monsignor by then-Pope, now-Blessed Pope Paul VI, on March 22, 1976. That same year, he was appointed pastor of St. Monica Parish in South Philadelphia. He would serve as the beloved pastor there for 25 years. On June 27, 1981 he was named auxiliary bishop of Philadelphia and Titular Bishop of Cillium by then-Pope, now-St. John Paul II. He was ordained a bishop on Aug. 12, 1981 at the Cathedral Basilica of SS. Peter and Paul with Cardinal John Krol serving as the principal consecrator and Bishops John Graham and Martin Lohmuller serving as co-consecrators. In his retirement Bishop DeSimone remained active in the life of the church, and was as generous in charity as he was in friendship with many people in the archdiocese and beyond. Editor’s note: Check CatholicPhilly.com next week for a full obituary of Bishop DeSimone and coverage of his funeral Mass on Oct. 10. My Late Mother in Law, Katherine Capone Krumaker, Atlantic City NJ, was First Cousin with Father Louis and His Brothers. He would visit Her often ( I joined the Family in the early 80’s ) and give Us His Blessings. We were Blessed that He gave Her Funeral Mass at St Michaels and sent us Prayers for Our Great Granddaughter’s Eye Enucleation Surgery. He is truly a Man of God. I have one last request of you Father Louie, please let John know how much I love and miss Him. Father “D” was loved by all at SS Cosmas & Damian, he was always there whenever anyone needed him. He was the corner stone of the parish. He will forever be missed. He was like family to us. He called my cell phone & left a message & I still listen to it. He was a gentle & kind person. Bishop DeSimone was there for everyone ! Me & my Sister and our children loved him very much . Church every Sunday & Holidays , Communion & Confirmation, helping the poor and those that needed him . This something we will never forget ! He will be in our hearts forever!! The most humble man. A great leader of the flock. Father D will be missed by all who had the privilege of meeting him. Today it is difficult, if not impossible, to express in just a few words what his Excellency, Bishop Louis DeSimone meant to Catholic Church and to me personally. I was fortunate to have been able to collaborate with him on a daily basis and amazing to see how he was able to touch me and everyone he met on a deeply personal level, while at the same time inspiring all with the model of leadership he had adopted on the ecumenical and international spheres. I will miss our conversations, his warm and supportive smile and his reassuring voice. He retained his very special humor to the very end and touched the lives of so many people, in so many ways and in so many different contexts. For me, he was an inspiration. My last conversation was via telephone I expressed that I was sending him all the love in my heart and endless prayers….he responded “Thank you I just caught them and holding them close to my heart”. A man truly filled with “strength from above”, he stood and acted as a charismatic ecumenical leader. A giant, literally and figuratively, left us. All of us, who have been so blessed with his presence, will remember him with respect, gratitude, dignity and love. I will find joy in the memories of him. The Augustinian Community at Villanova planned to present the St. Augustinian Medal to Bishop DeSimone October 4th at a ceremony at the Philadelphia Country Club to recognize his outstanding work of service. He planned to be there…his Spirit was there however his body was failing. Bishop was 96 ½ years young and he planned to be at the ceremony with his speech in hand. His memory till his last breath was perfect as he remembered people, dates, and events of his life both past and present. I thank the Lord for the life of Bishop DeSimone; a witness to the love of God and all mankind. May his memory be eternal, and his soul- reside with the Saints in God’s embrace. Until we meet again my dear friend….Forever In My Heart. May flights of angels lead him to his rest in eternal peace. Eternal rest grant unto him O Lord and let your perpetual light shine upon Bishop Louis De Simone. He will be missed. He really was a beloved pastor at St Monica’s Parish. Was he pastor at St. Monica’s parish while a bishop? The articles implies that he became pastor at St. Monica’s in 1976 and was there for 25 years. But he because an Auxiliary Bishop in 1981. So was he both a bishop and pastor at the same time?